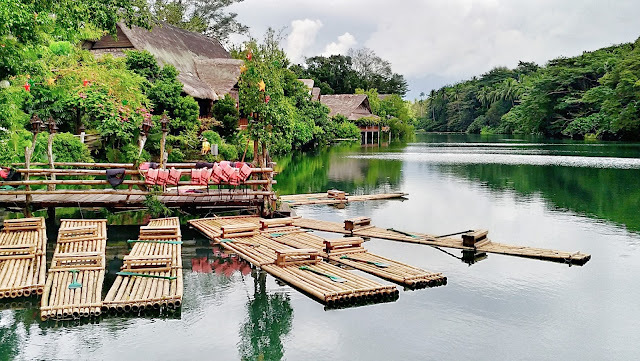 Villa Escudero Plantations & Resort is one of the awesome destinations near Manila. It will take three hours drive via public or private land transportation to reach this beautiful place. 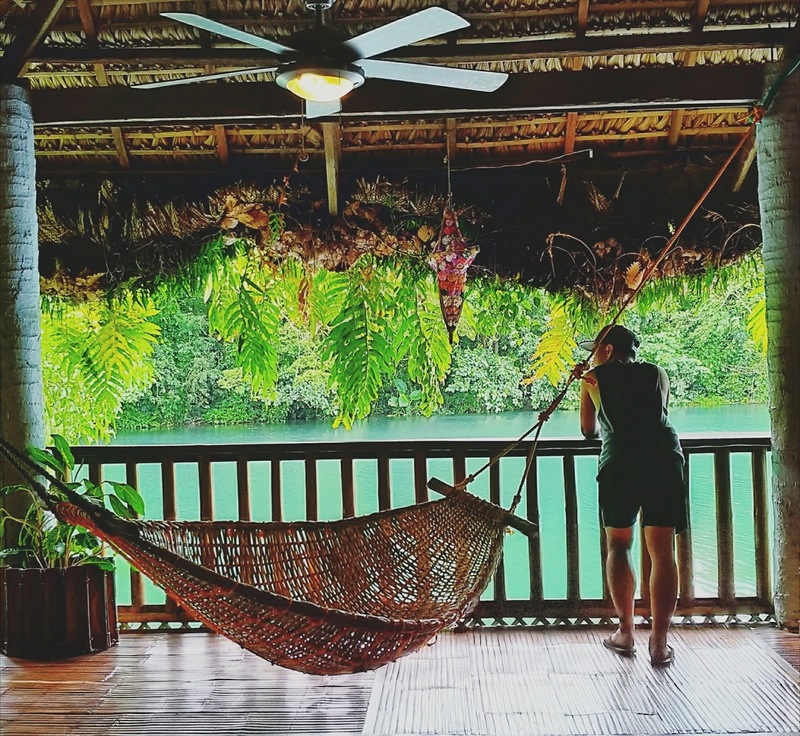 It is a coconut plantation and resort in Tiaong, Quezon which opened to the public in the 1980s. I've been eyeing to visit Villa Escudero for some time already. 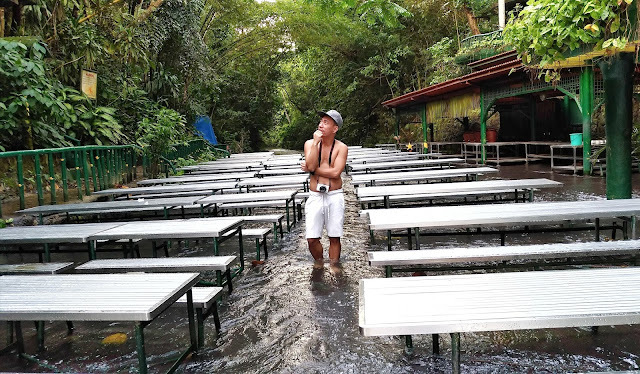 The video of Labasin Waterfalls Restaurant became viral online and I couldn't wait to see the waterfalls personally. Last week my leave was approved and I immediately contacted the resort and booked for a room. 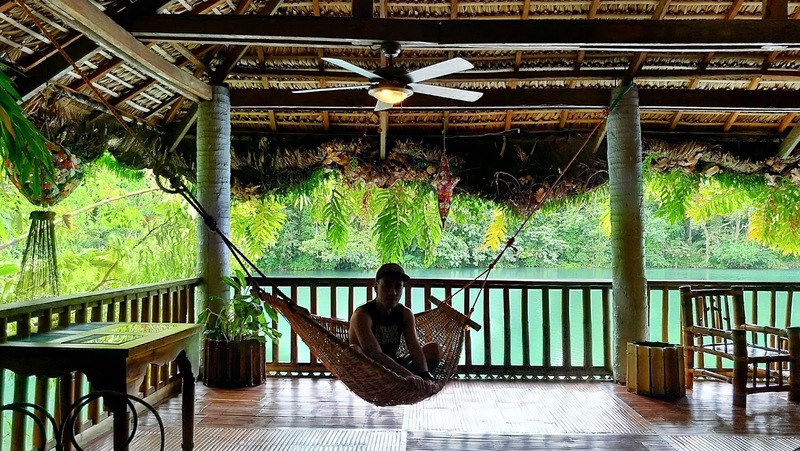 Villa Escudero offers air-conditioned and non- air-conditioned rooms. 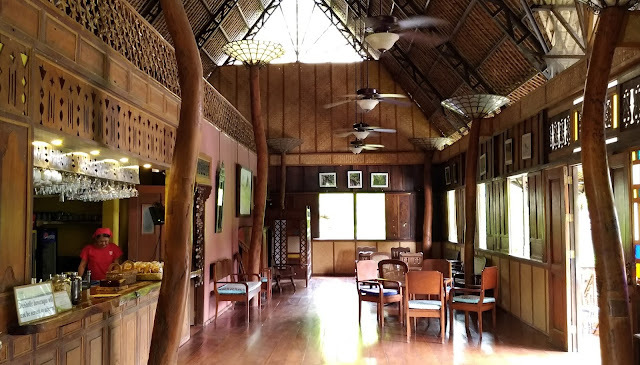 Most of the rooms are made up of indigenous materials. 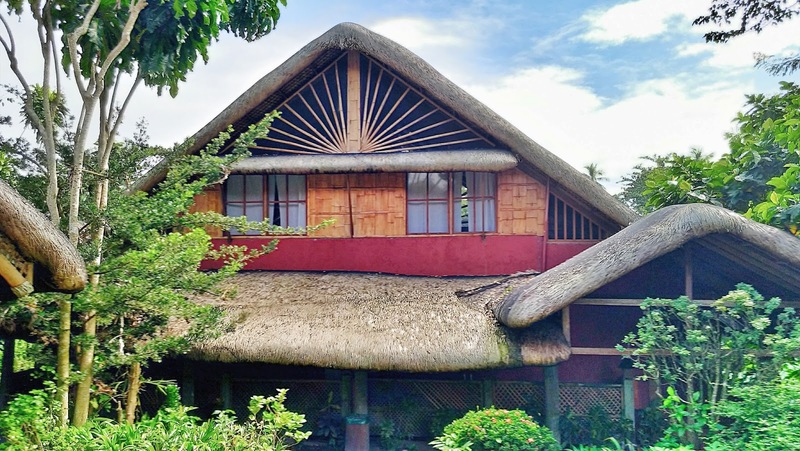 They have Longhouse Unit, Riverside Unit, Executive Riverside Unit, and Presidential Suite. Rate starts from P3600 to P6200 (Non Peak) and P5500 to P10000 (High Peak). We booked a room in the Riverside Unit. 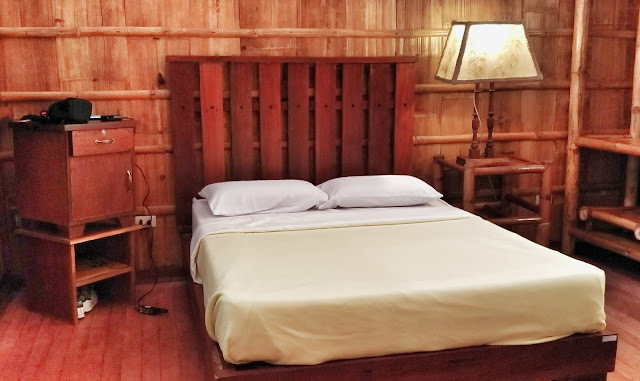 Our room was designed with several woods like bamboo to maximize natural ventilation and to allow cool air from the river. It's spacious, came with queen-sized bed, one single bed, tables and chairs, and electric fan. The room had also 2 restrooms that came with clean white towels and toiletries. It could accommodate up to 12 pax. The open air veranda was the best part of our room. It featured great ambiance, came with comfy hammock, wooden table and chairs with the wonderful view of the river. The whole place was amazing and relaxing. The famous waterfall restaurant sits at the foot of the Labasin Falls. 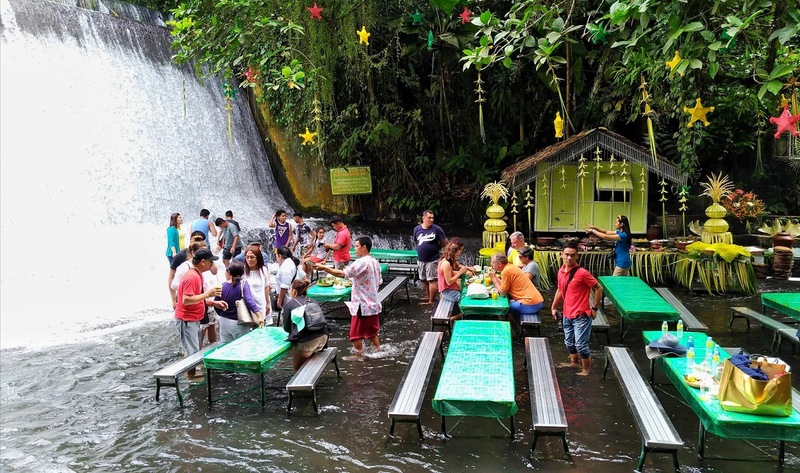 The man-made waterfalls is one of the main attractions inside Villa Escudero. You can enjoy a traditional Filipino buffet at the metal table while soaking your feet in running cold water from the falls. 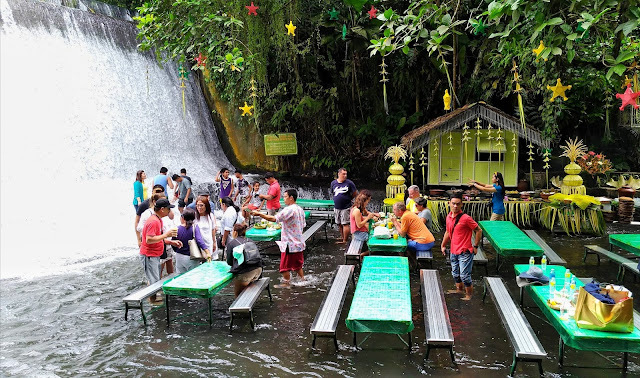 Just a reminder, the Labasin Waterfalls Restaurant is crowded during lunch time. 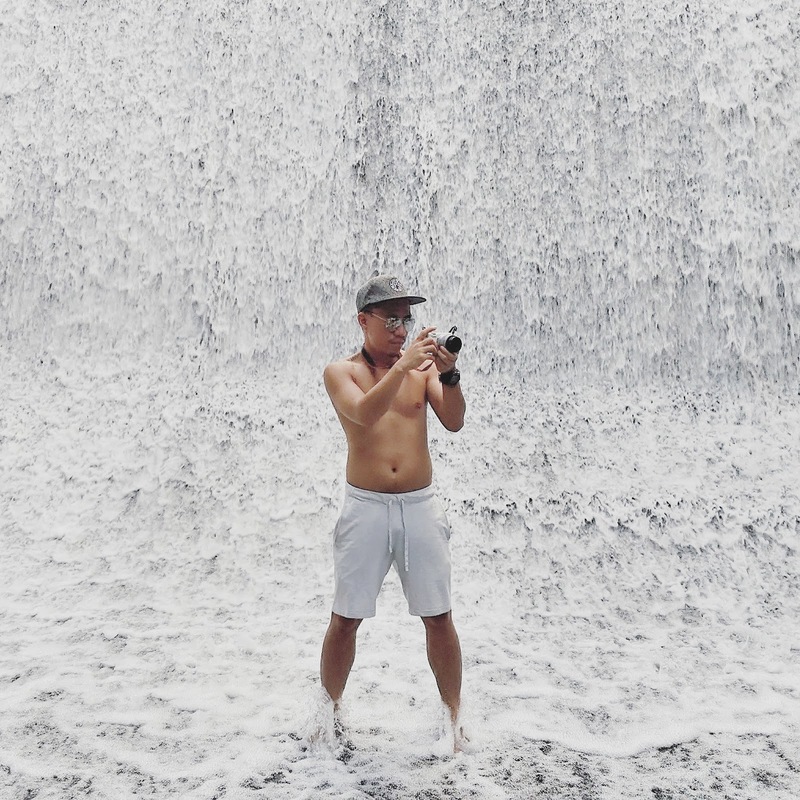 If you want to take photos without the crowd, visit the waterfalls early in the morning around 6 o'clock. Be careful also on walking because some portions are slippery. 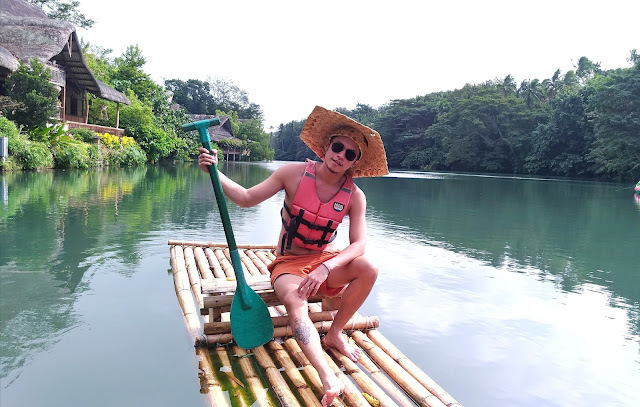 Whether you stay overnight or daytour, you can enjoy bamboo rafting for FREE. 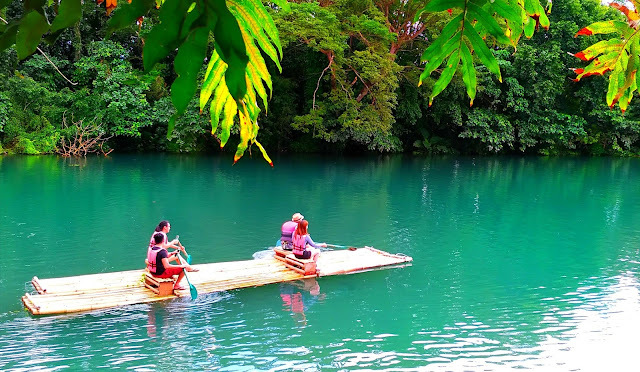 You will sit down on a native bamboo rafts and start paddling while exploring the beauty of Labasin Lake. Bamboo rafting starts from 8:00 am to 5:00 pm. Swimming is not allowed here. Even you know how to swim, always wear lifeVest for your safety. Don't forget to take picture or selfie on this area, it's really instagrammble. 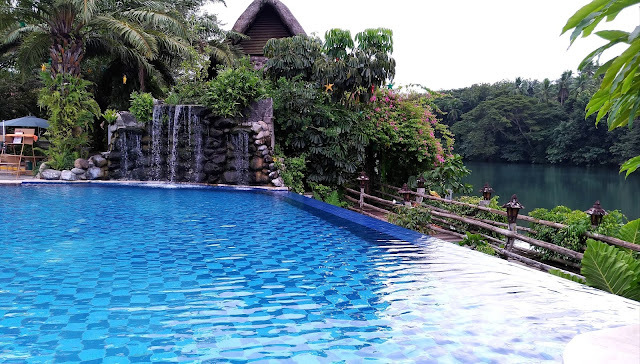 Other activities to be indulged in Villa Escudero is swimming. 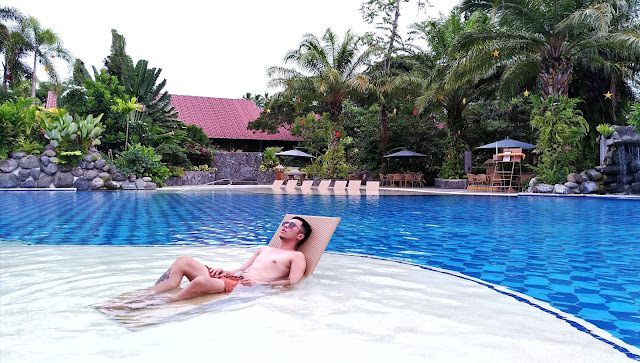 It has three swimming pools, including kiddie pool, infinity pool and an adult only pool located above with jacuzzi tubs. I spent most of my time in the jacuzzi tubs. The warm water was relaxing. If you want to get around, you can ride on a BLTB vintage bus, e-jeepneys, carabao carts which are free of use. There's also available bicycles for rent for P100/hour. You can choose from regular bikes, folding, bike with sidecar to vintage bikes. From Friday to Sunday, Villa Escudero offers a FREE cultural show featuring tribal and traditional dances. Shows starts at 2 o'clock in the afternoon. 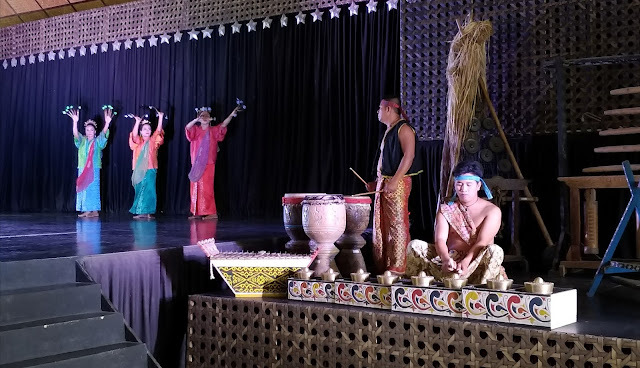 You can enjoy the amazing performances of Filipino dancers at the Coco Pavilion, the largest restaurant in Villa Escudero, located at the right next to the lake. 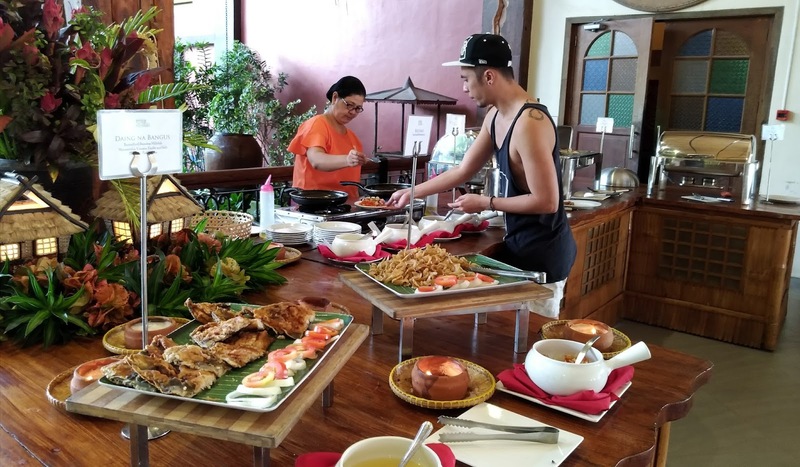 The traditional buffet in both Labasin Waterfalls Restaurant and Coco Pavilion are superb. They serve Filipino cuisines like adobo, kaldereta, pancit, longanisa, inihaw na liempo and isda, ginataang gulay, etc. 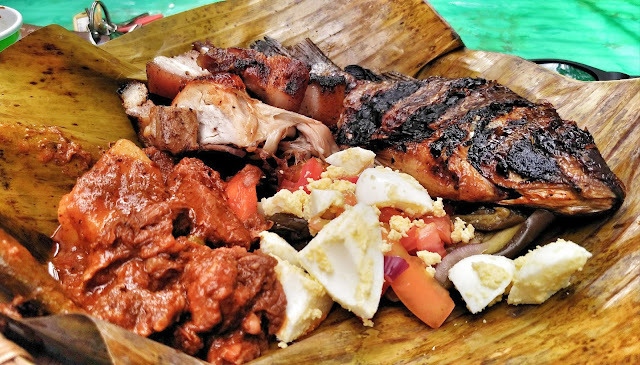 They also serve hardinera, which is one of my favorite dishes in Quezon province. If you want to drink, you can go to Indigo Cafe or poolside bar. You can buy alcoholic drinks like wine and beer. Of course, for those who don't drink, you can order coffee and refreshing juice. For those who love museum, the Escudero Private Museum is the place to be. 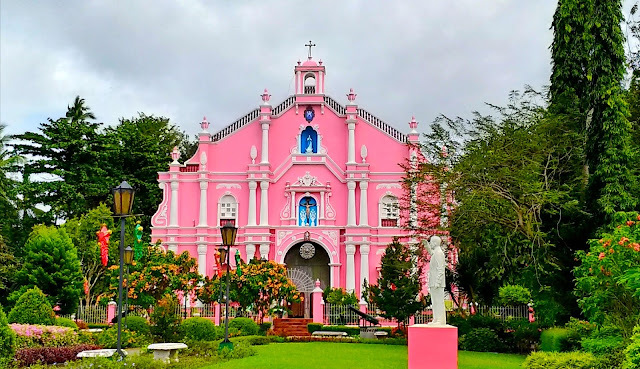 It looks like a church from the outside, but it's a museum where you can find the largest private antique collections in the country. Inside the museum was little bi creepy. I found some relics of Jesus Christ, Virgin Mary and major saints, ceramics and porcelain, paintings, traditional costumes, dolls, and many more. Taking photos and videos is not allowed inside the museum. 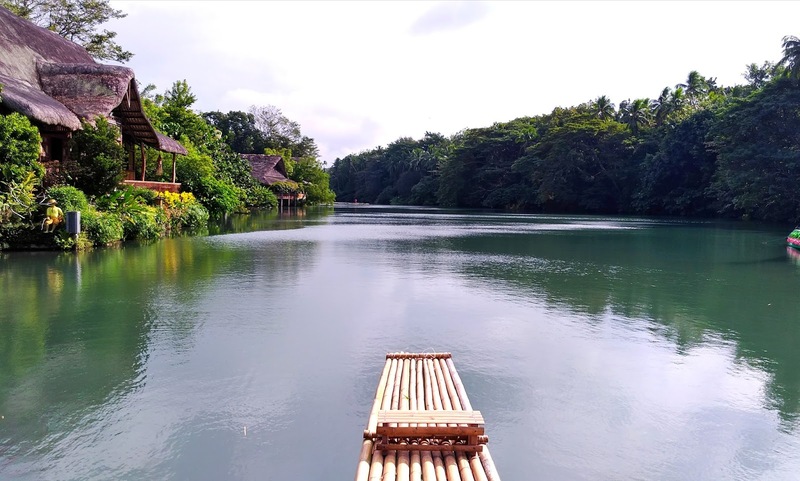 Villa Escudero Plantations & Resort is ideal for balikbayans, foreign tourists, people from Metro Manila looking for a wonderful escape. It's also a perfect destination for school fieldtrips and barkadas and family looking for quick day tour. 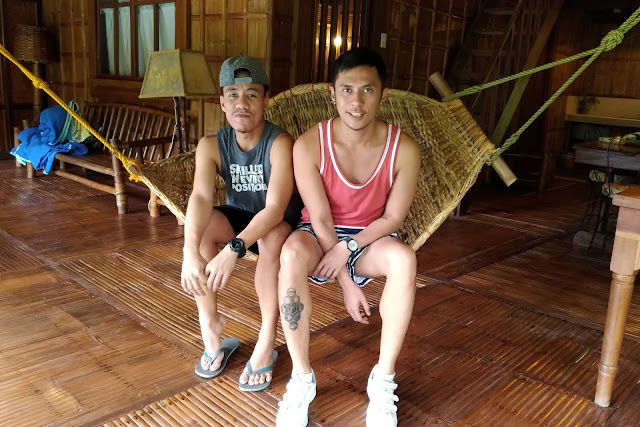 We had a great experience in Villa Escudero. 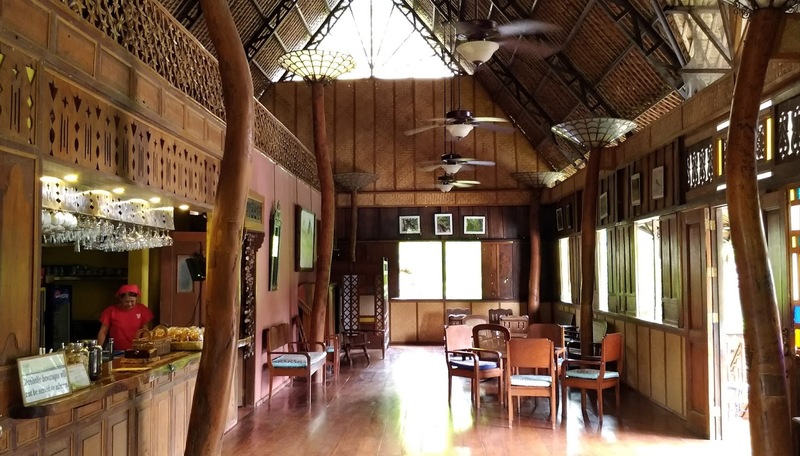 It truly made our stay memorable with their unique accommodation, delectable food, amazing facilities and accommodating staff. We also enjoyed our lunch in the Labasin Waterfalls Restaurant and bamboo rafting in Labasin River. Everything was awesome! Take a bus bound for Lucena, Quezon. There are stations in Kamias Cubao, Ali Mall, and Buendia. 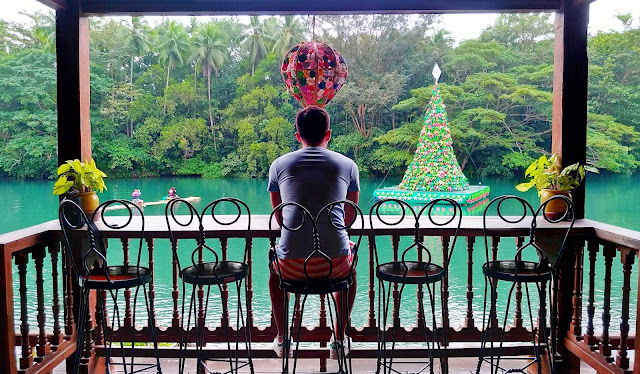 Tell the driver to drop you off at Villa Escudero or at the welcome arc, Quezon/Laguna boundary. Travel time is 2.5 to 3 hours. 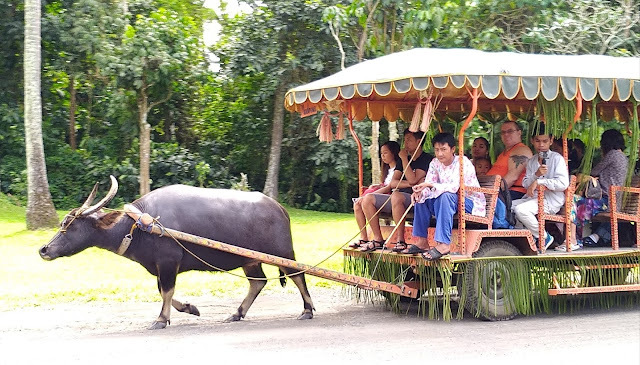 Then, take a tricycle going to the resort. If you have more energy you can also walk since it's only 1 KM to get to the reception area.